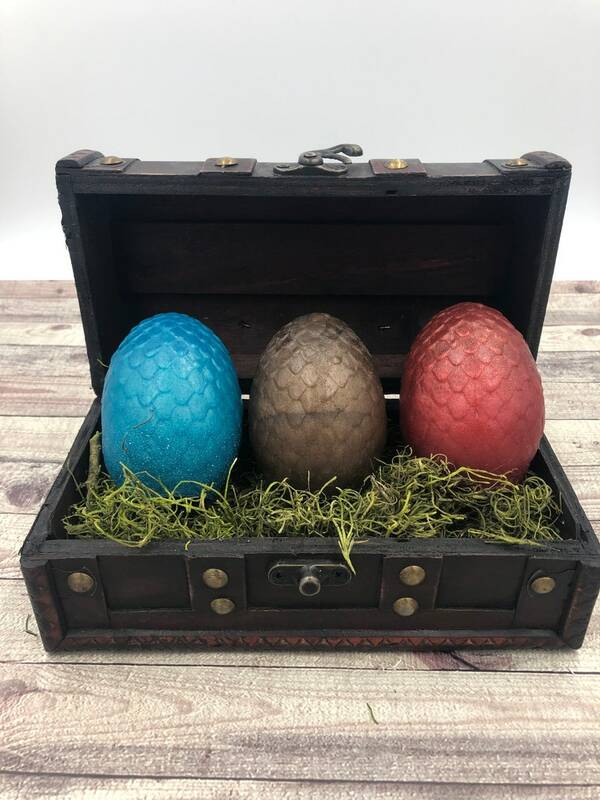 This listing is for one (1) set of three (3) dragon egg soaps with chest. 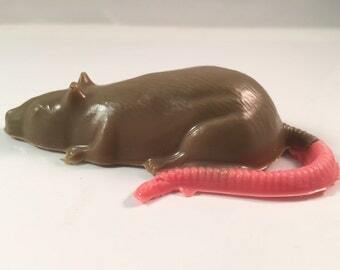 Soap colors and fragrances will be selected at random. Chest comes with a bed of Spanish moss. 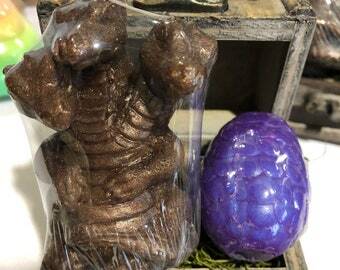 Listing is for one (1) set of three (3) dragon egg soaps with chest.